Building and developing professionals, architects bear a serious responsibility and opportunity to lead the mass in search of a sustainable solution utilizing the existing urban assets in a smart way. 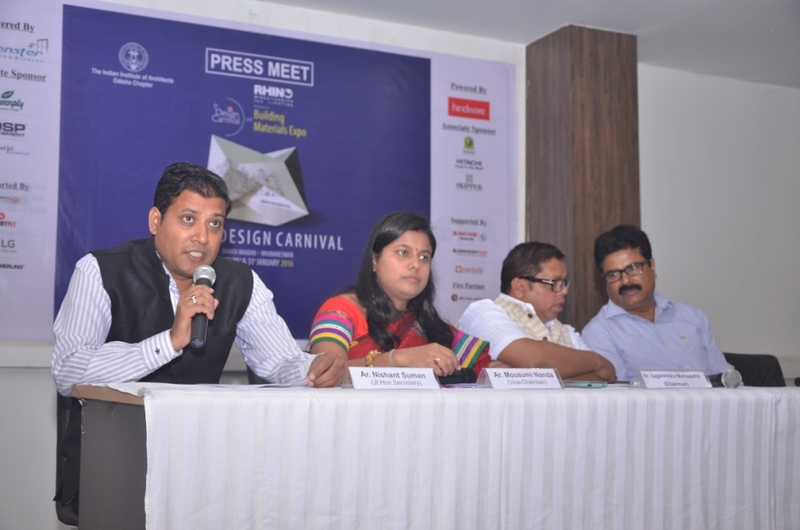 As a sensible organization, Indian institute of Architects (IIA) Odisha chapter is set to organize 9th Design carnival and Building Expo 2016 with a theme –Urban Rejuvenation at Janata Maidan Bhubaneswar On 29th to 31st January. “India is one of the forerunners in promoting urban regeneration, environmental sustainability and economic development in global platform. In the present scenario, our world faces environmental and social challenges at a magnitude that requires the attention of everybody including regional, national and global organizations. The event aims at providing information and analysis of present architectural scenario to the fellow architects, students and people at large”, stated Ar. Sagarendra Mohapatra, Chairman. The 3 days event will witness a large congregation of intellectuals, thinkers, architects, engineers, planners and administrators across India. Eminent speakers will share their knowledge and insight through interactive sessions in open forum, which will inspire and support policymaking and nation building. The event involves participation of 200 students from 9 different architecture college of Odisha in various competitions organized by IIA Odisha Chapter. In backdrop of “urban rejuvenation” A material expo exhibition is also organized by IIA with partipation of reputed manufacturing companies from India displaying their innovative & latest building products .This will immensely benefit concern persons as well as to common people. Apart from this, a friendly cricket match between students and professionals to create a bridge between the young and experienced professionals & cultural programmes will also be arranged as part of the event. The Indian Institute of Architects (IIA) is the National body of Architects in the country, founded in the year 1917 headquartered at Mumbai. The institute today has more than 30000 members. IIA plays major a role by uniting Architects of India to promote aesthetic, scientific and practical efficiency of the profession both in Practice and in Education.